It was a laid back morning, with us enjoying our beauty sleep till about 8 AM and waking up to a beautiful warm weather. Our day of rest at the most beautiful campsite , at the banks of river Nundkol was an experience worth reminiscing. The fantastic weather made our day memorable. 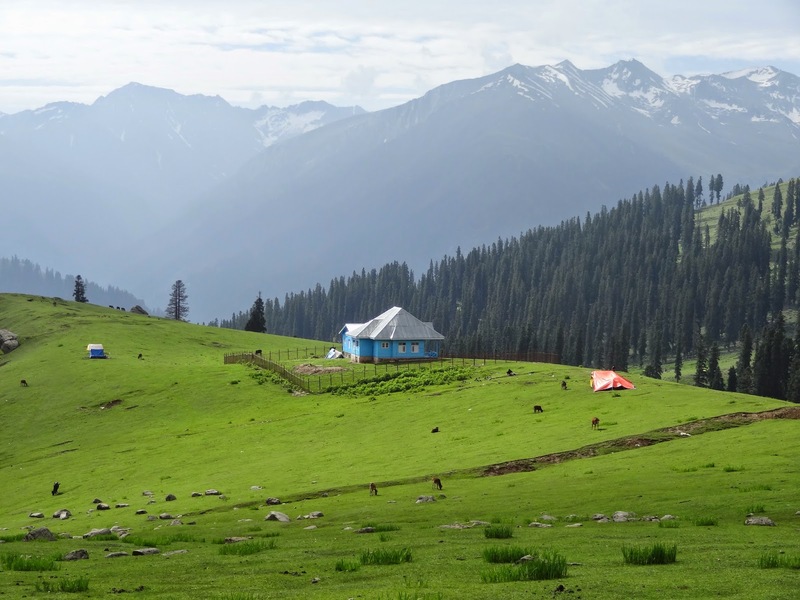 Everyone had plans of sleeping all day, but the irresistible weather and the lovely meadows dragged us out of our sleeping bags. It was indeed the mountains calling. There were Frisbee wars on the grass, igniting the “not so good sportsmanship” behaviour in all of us. We divided ourselves into teams and played our hearts out. Setting our own rules, pouncing on the referee, sledging the opponents, laughing at our team mates, Hi-Fi’s on scoring match points etc filled our hearts with immense joy, something that I hadn’t experienced in years. 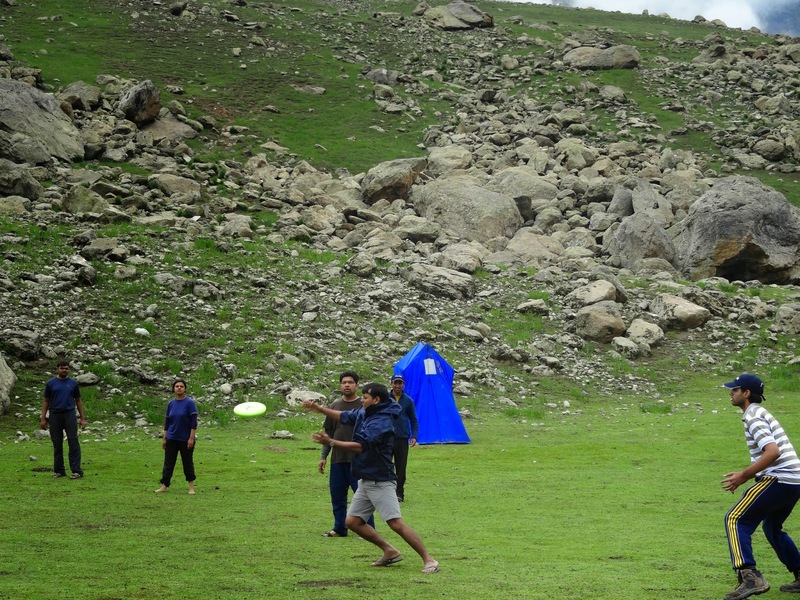 From Frisbee, to Seven Sisters to Lagori we played them all relentlessly. 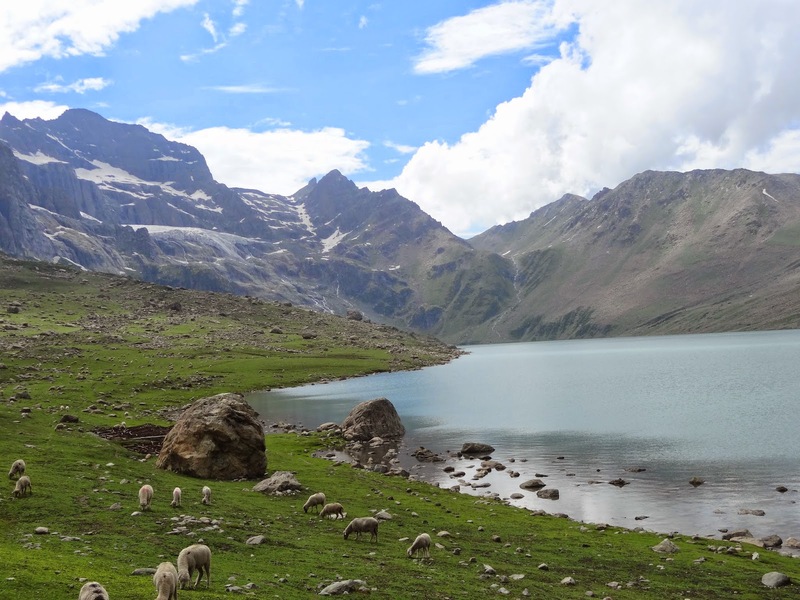 In the evening we hiked up further for about 3 kms to reach one of the pious places, Lake Gangabal. This lake was pretty huge and mesmerizing, providing a visual treat. This was our last Lake destination and I truly could sense the feeling of accomplishment. 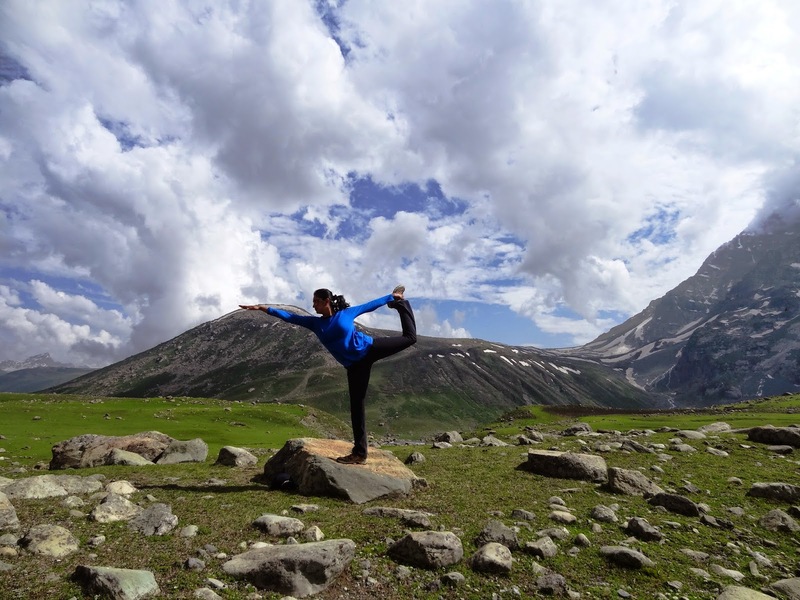 The clear blue skies, the soft pillow- like clouds and the luminous water were overwhelming, The picturesque landscape made the perfect backdrop for my “Natarajasana”, and as I posed, realising my dream, there could be no bigger sense of gratification. On reaching the campsite, we were welcomed with hot mouth watering samosas to satiate our ever hungry tummies. 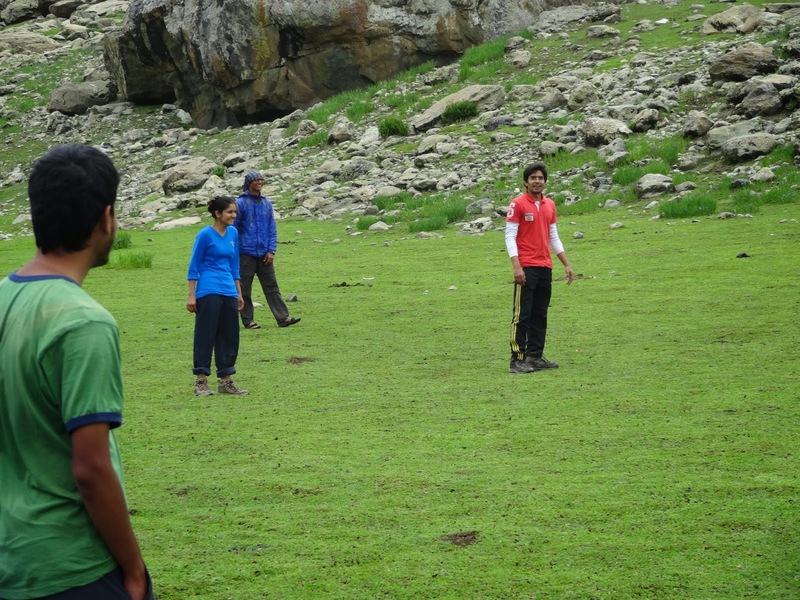 We sat there, recollecting various trek incidents and it was unbelievable that time had passed by so swiftly. 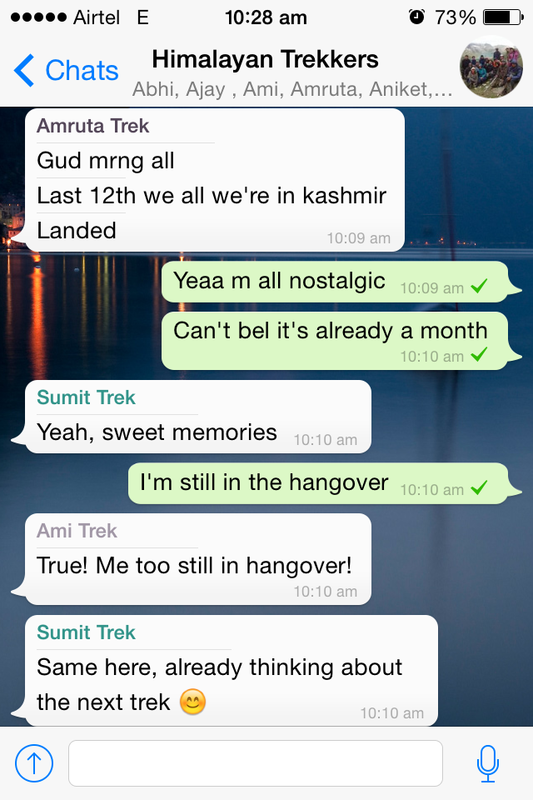 We were presented with our Trek Completion certificates and each one of us shared our best Trek moment 🙂 Not only did people describe the breathtaking snow capped mountains, the beautiful skies, the crystal clear streams, the starry nights and the green meadows but also mentioned how each person in the group had made their trek all the more memorable. A generous heart, kind speech and an act of compassion can indeed touch someone in many ways. That night we were surprised with a campfire. Carefully tending the fire, for long lasting warmth we all sat around the fire to sing songs. Since the group was a mix of people from various parts of the world, we decided to sing songs in our native language.From Kannada, to Marathi, Hindi, Kashmiri, English and Japanese, the night was alive and the mountains echoed with some melodious voices. After a nice session of music and shayari the fire abated and soon there was pitch darkness. When I went to bed that night, I was nostalgic and could not contain my feelings. I just did not want the journey to end. The mountains and the days spent there helped me rediscover myself in so many ways. I never knew that I could live so frugally. I started valuing every small bit of luxury that I had back home. I learnt that giving time to oneself is the best thing you can gift your body. It not only heals you physically, but also mentally. The mountains had made me a stronger person, a better person. I saw myself in a way that I had never seen before. My eyes twinkled with joy and my face beamed with newly found energy. I loved my freedom and felt sanctified. 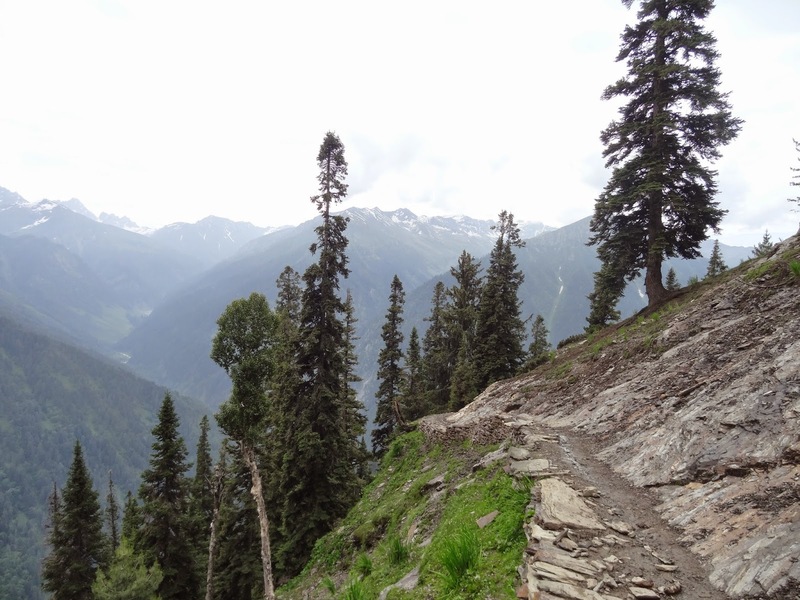 It was our last day of trek and the we had to bid adieu to the beautiful mountains. With a heavy heart we began our trek downhill. The trail and scenery kept changing as we started descending. 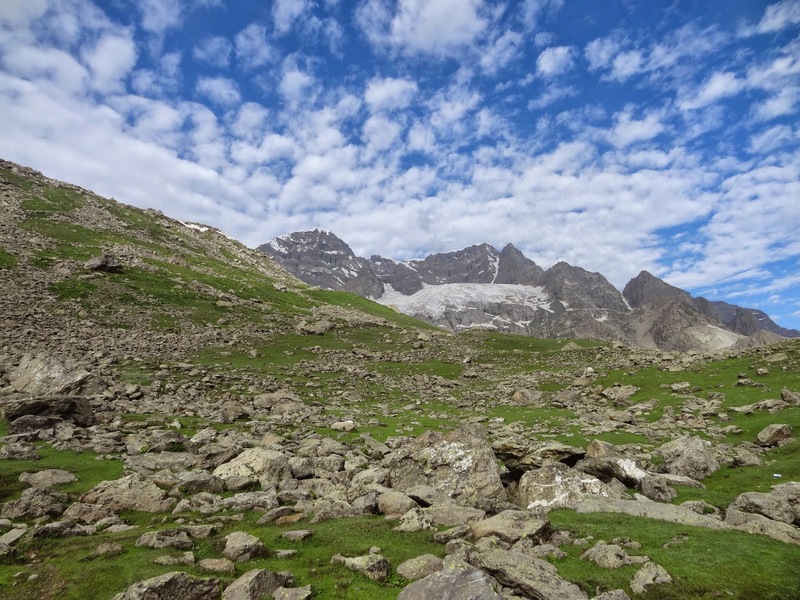 From plain mountains, to boulders we then reach beautiful meadows. From here we start getting a view of the pine trees which is very scenic. And when you look back the Harmukh Peak looks fantastic. 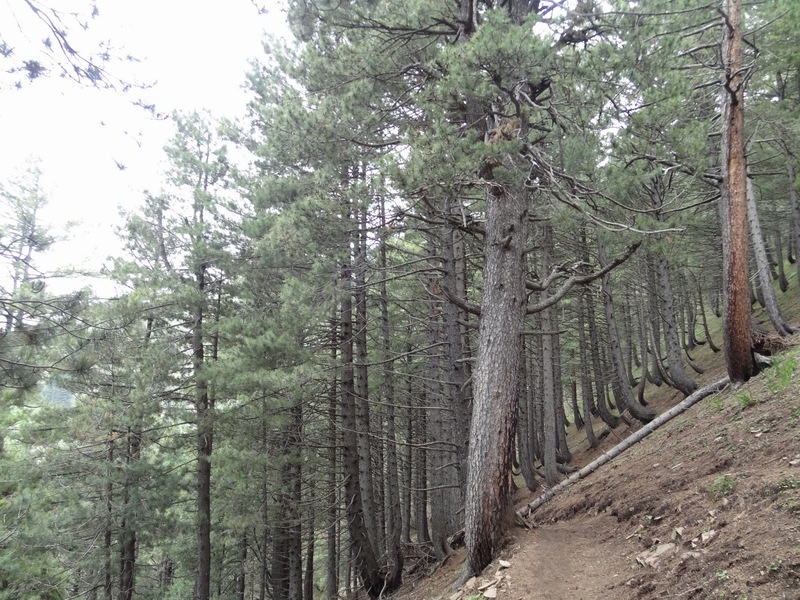 After the entire meadow patch, we now enter the trail through pines. It was a bit chilly here, due to the dense tree line. But the trail was definitely exhilarating. As we trek further down, it is very tough on the knees and toes. 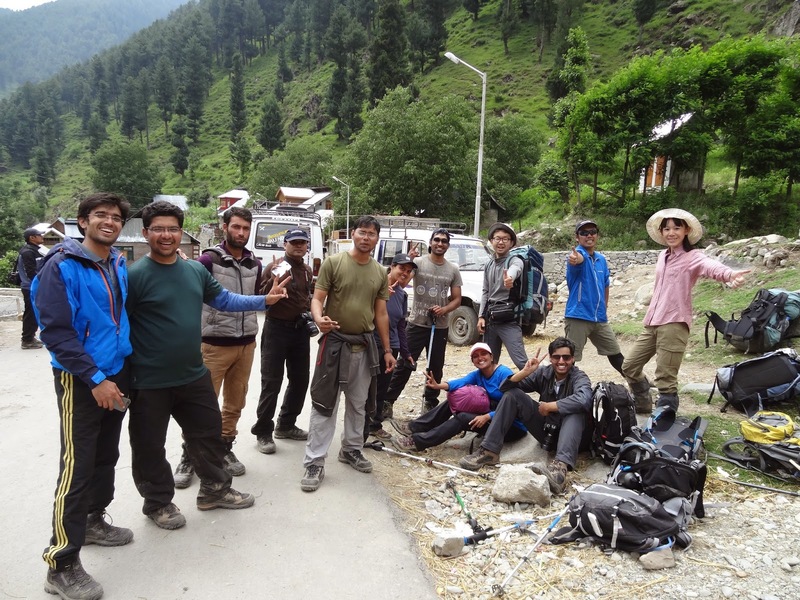 By now the excitement of completing the trek was setting in. I couldn’t wait to see some human civilization. I couldn’t wait to hear the voice of loved ones back home. 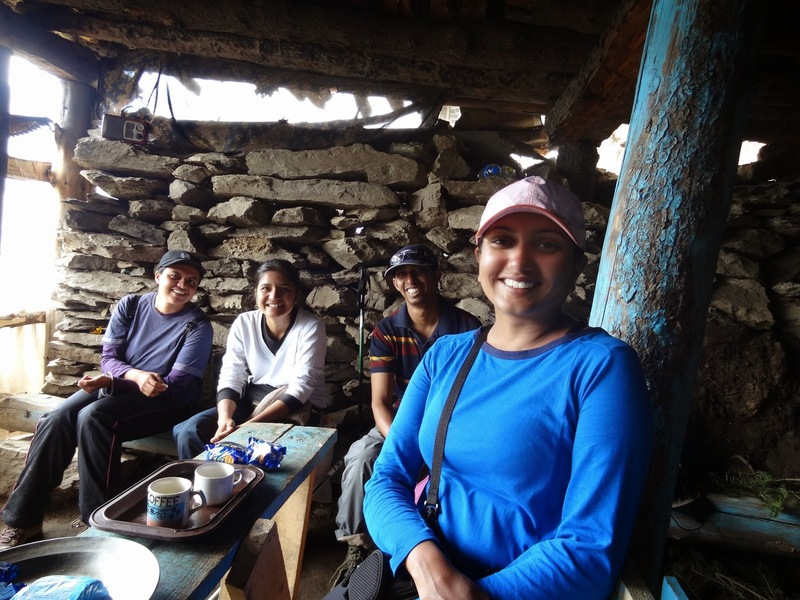 We stopped for a brief moment at a shepherd hut for a hot cup of “chai” and some biscuits. In 8 days that was the first time we sat on something called “bench”. Further on the descent was too steep and it was difficult to balance oneself. There felt a constant force on the back pushing me downwards. For the rest of the trek , I could only feel myself scampering down and it was such a toe crushing experience. By now I already started getting worldly thoughts of taking a shower, sleeping on a soft bed, using my phone etc. I ran aimlessly with absolutely no control over my body and in an hour I could spot the road. 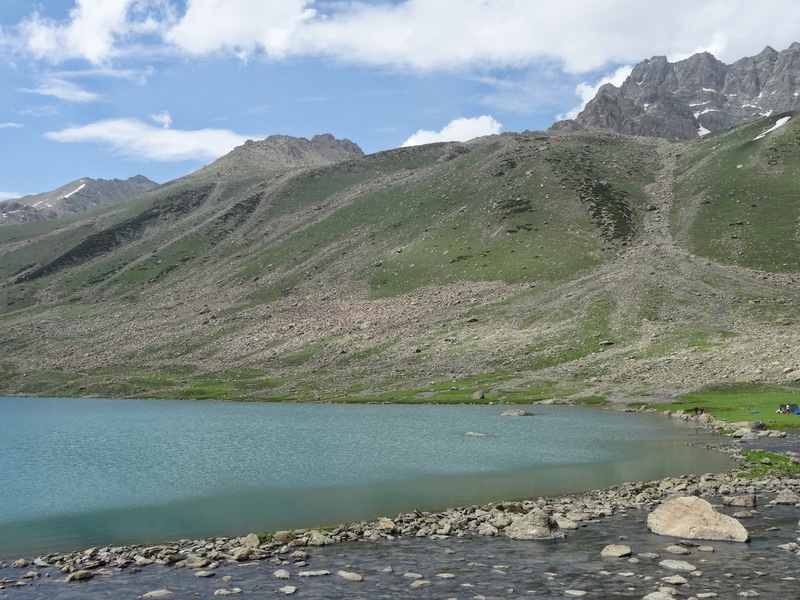 We had descended to about 8,500 feet now and I had to pinch myself to believe that I had finally accomplished this feat, an experience so enthralling and soul satisfying. Denzil and I were the first ones to reach Naranag and we waited for the rest to join. When in the mountains there is no outside world, no noise and no haste. There is only you and the rhythm of the nature. And as Edmund Hillary quotes , “It’s not the mountain we conquer , but ourselves”.